Massachusetts State Trooper Ross Huber is giving one last sweep of the roads before heading in for the night. The nor’easter hitting the Boston area is worse than expected by an order of magnitude, and the governor has just issued a travel ban. He finds a wrecked car half buried in a snowbank and rescues its human and canine occupants from carbon monoxide poisoning, but is forced to take shelter with them in a vacant or abandoned house when the roads are blocked. 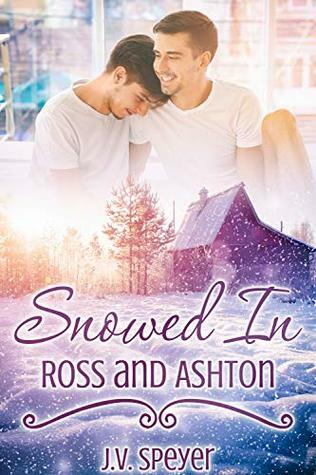 Neither Ross nor Ash are the same guys they were in college, but they’re trapped in the abandoned house with no place to go. Can they get past old hurts long enough to get through the storm, or will the same misunderstandings that drove them apart years ago make this confinement unbearable? He ran for the back door as fast as he could. He struggled into his coat and pushed the intrusive thoughts out of his head. The doctors had warned him about this after his injury, both in Turkey and in Germany. Intrusive thoughts were normal. Bouts of depression were normal. He’d survived a major explosion, and he’d had to make some major lifestyle changes as a result. It was okay to be upset, and it was okay to be frustrated. Ash should be patient with himself, they said. And they also acknowledged it would be a challenge for him to find that patience. He knew exactly what to expect. He attacked the snow with vigor. He’d made it out alive when plenty of others had not. He was not going to squander his second chance on self-pity and pining for a guy who’d dumped him almost a decade ago. He was here, breathing free air. He might be in pain, and he might not have full use of all of his limbs, but he could use most of his parts and that was enough. He was a lucky man. He just needed to remind himself sometimes. He hacked into the snow, using his anger and his grief to power through the pain. Okay, sure, this sucked, and he’d need more surgery on his shoulder eventually. He’d get it. In the meantime, chances were that he’d find himself in a position to need to shovel. He needed to get used to it. He needed to toughen up, and get used to doing things for himself. Two hours later, he’d carved out enough space to function as a doggy outhouse. It would be foul soon enough, but it had become almost like a little snow cave. Ash had worked up a good sweat, and he’d accomplished something to take care of Porthos. He hadn’t had to depend on Ross, or anyone else. He’d done it himself. He could be proud of it. 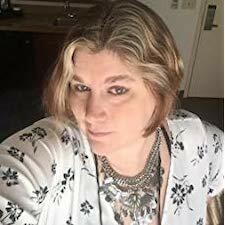 J. V. Speyer has lived in upstate New York and rural Catalonia before making the greater Boston, Massachusetts area her permanent home. She has worked in archaeology, security, accountancy, finance, and non-profit management. She currently lives just south of Boston in a house old enough to remember when her town was a tavern community with a farming problem. J. V. finds most of her inspiration from music. Her tastes run the gamut from traditional to industrial and back again. When not writing she can usually be found enjoying a baseball game or avoiding direct sunlight. She’s learning to crochet so she can make blankets to fortify herself against the cold.